Have you ever noticed how you breathe when you are anxious or relaxed? If you haven’t then next time you are worried or calm notice your physical and emotional condition. There is an enormous difference between calm and anxious state. There are a lot of ways to calm down. You can go to the psychologist or just go to sleep. But there is only one way to overcome stress quickly. It is breathing exercises and different breathing techniques. 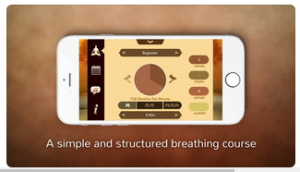 Now, thanks to the smartphones we can learn breathing methods without leaving home. 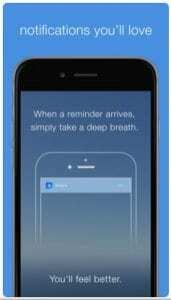 Many apps ware created for smartphones to teach people breathing techniques because the way you breathe affects your whole body. 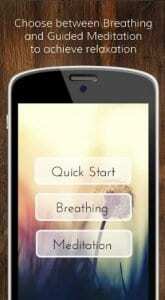 It is a list of 13 breathing best apps for Andriod and iOS. Sometimes we all need to relax and to be free out of bad thoughts. 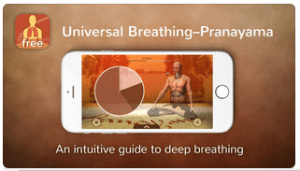 Prana Breath: Calm & Meditate is ready to help you. You don’t need to learn different techniques to understand respiratory exercise mechanisms. This app has already been downloaded more than 1,000,000 times. It makes your pranayama practice more calming and enjoyable. Right away after installing close your eyes and let the music take you to the world of relaxing. You can tune up every breathing session and create your own personal training. 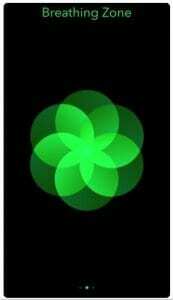 – Develop your brain activity: thinking, attention and concentration. – Get rid of anxiety. – Make better you stress resistance and physical stamina. – Help you to control your weight preventing evening attacks of hunger. – Improve your health, ease asthma and headaches. – Help you to fall easily fall asleep after evening exercises. 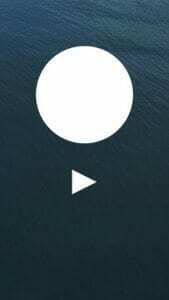 This app doesn’t have ads, that’s why you won’t be bothered during breathing session. 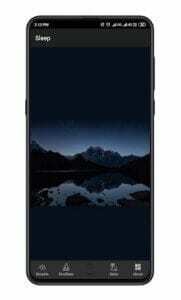 It can save your phone battery because Prana Breath let you turn off the screen. Try 8 different breathing methods and techniques and see how they affect your stress and uneasiness levels. You can also control your progress to see the achievements. You won’t miss exercise time because of a great reminder, that creates for you a convenient schedule. 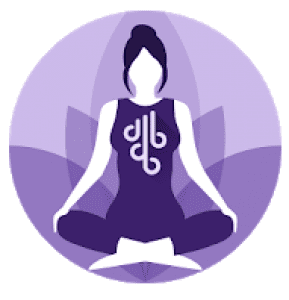 Prana Breath: Calm & Meditate is an excellent helper for your physical and psychological health. Try it and you won’t be able to stop using it. 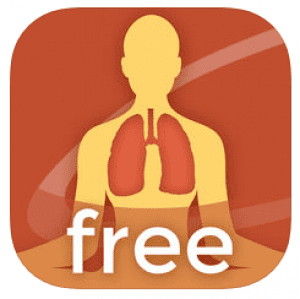 It is another great app for breathing practice. If you don’t know the damage of the anxiety you can check the special scanner, that shows you 11 parts of your body such as skin, immune system, eyes, stomach a so on. You will know detailed info about your body. It can also teach you to breathe properly if you have never done it. 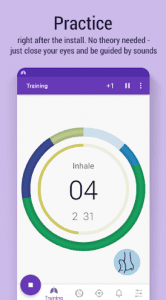 The most interesting feature of this app is diaphragmatic training. It helps strengthen your diaphragm. This kind of breathing has millions of benefits. You will control your blood pressure and stress resistance. After every breathing session, you will be asked about your well-being. It also includes the instructions both written and recorded to understand diaphragmatic breathing. Reducing your stress with Breathe2Relax and be confident in your health. Try one or more techniques to find the most suitable. Have you ever wanted to learn Pranayama breathing techniques? 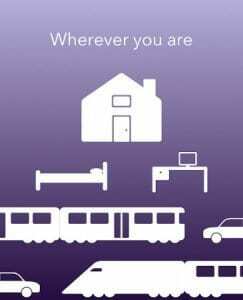 This app is here to help you. It was developed to teach people how to breathe correctly. 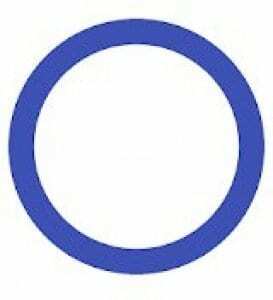 Every children breath using diaphragm but as they grow up their breathing changes. It becomes shallow and weak. Sometimes it can cause a serious deceases. With these breathing techniques, you can increase lung capacity and get millions of health benefits. Just 10 minutes a day and stress away! 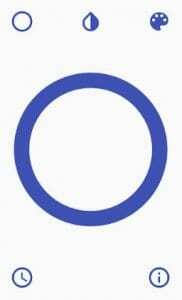 Only 10 minutes and you can prevent diseases from developing due to stress. 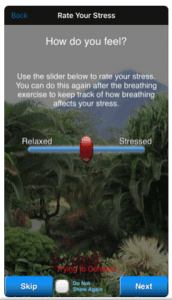 This app was developed by authoritative scientists to help you get rid of stress. Learn deliberate breathing techniques to understand your body. This app has been worked since 2008! It is a great guide to deep breathing. 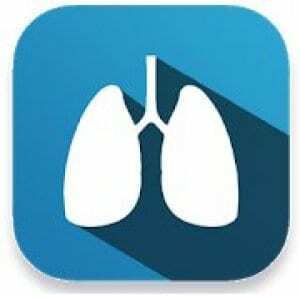 This app is also one of the best breathing apps. It has body animation and nice design. You can choose 5 different sounds to breathe more comfortably. Some simple breathing exercises can change your life! Do you want to be free of stress in 5 minutes? 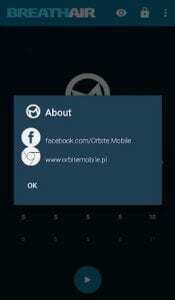 Then, try this app. Calm music, valid breathing techniques and meditation are all you need to relax. You can choose between breathing and guided meditation to achieve relaxation. It is ideal stress relief. Sometimes we don’t have enough time to have a rest. 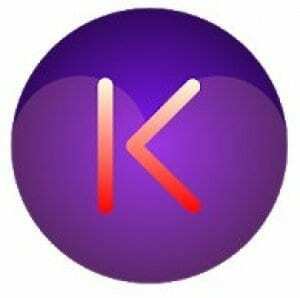 This app can easily be used by a busy person because it can help you to find a perfect time for relaxing. 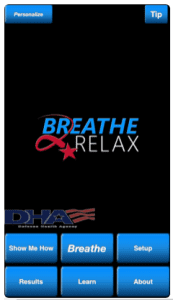 Relax: Stress & Anxiety Relief can teach you really difficult breathing methods. It is slow breathing. You can calm down your breathing when you are exhausted or anxious to help yourself feel better. Guided meditation makes you focus on a concrete part of your body. You don’t need to count seconds. This app can do it for you. Your only purpose is to focus and concentrate. The music changes for every phase of breathing. After completing the full course of exercises you can breathe slowly and easily undergo stress. 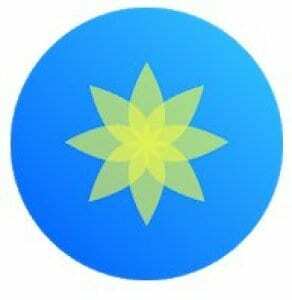 In a few days of using this app, you will get a lot of health benefits such as relaxing, concentration improvement and stress reduction, normalization of blood pressure, increasing lung capacity and getting rid of insomnia. It is an excellent way to get to know new methods for breathing because slow breathing can really Change your life. 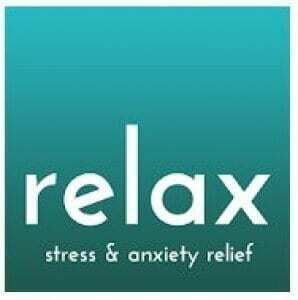 Learn it with Relax: Stress & Anxiety Relief! Sometimes we need a vacation but wait! Try this breathing app. You will learn the power of conscious control of your lungs. Breathe free and easy. Don’t think about problems. 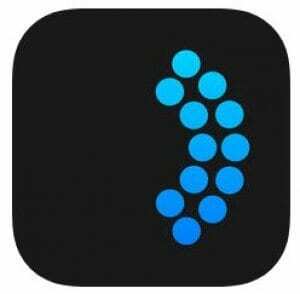 It doesn’t matter you downloaded this app for relaxing or getting a better sleep during the night. Box Breathing – Breath Air can improve many vital functions of your body. One of the interesting qualities that you get is adapting cold by deep breathing. You can spend a lot of time in the street during winter not afraid to get sick. These techniques are easy to learn. Just follow the instructions. 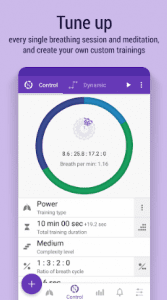 Install the app, set up the breathing technique and follow into the world of relaxing and self-improvement. Try calm breathing for at least 7 minutes twice a day and you’ll see changes. This app is a lifesaver. In the middle of a hard day, we all need to take a deep breath and relieve stress. This app is a perfect way to do it. Download it, sit in a comfy chair and start to breathe. 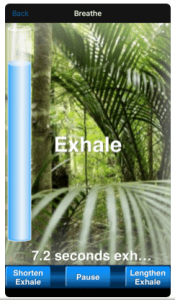 Breathing Zone can teach you to slow down your breathing. 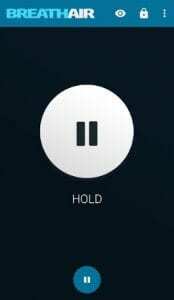 Bring the phone to your mouth and it recognizes your breath to correct it. Follow the guide voice. You can choose male or female voice. You can also change the guide image and set up a timer. There are a lot of sounds such as classical string, singing bowls, flowing water, Indian Bansuri and metronome. If you want to breathe in silence you can turn off sounds. After several practices, your health condition will improve and you will relieve stress and negative emotions. Happy breathing! When did you have a rest the last time? If it was a long time ago, then it’s never too late to start. You can turn stress and anger into relaxation and inner calm. 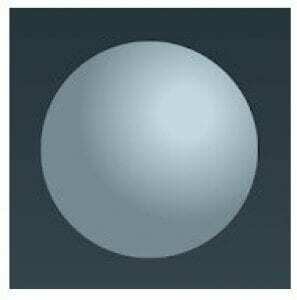 It is easy to do with Breath Ball. Just spend 10 minutes to breathe every day. Prepare a comfortable place for it. 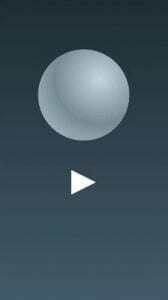 Breathe at the rhythm of this app. You will immediately calm down and be in harmony with yourself. It can change your life! This is not just an ordinary app. It was checked by the neurological therapy center in Gmundnerberg. It was created for people with brain damage to make their lives easier. It is easy breathing exercises that will help you to restore your comfortable breathing. Breathe Easy is the simplest way to relax and meditate. 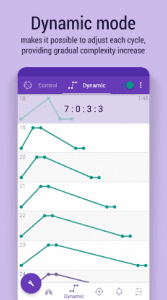 If you are over-worked or under-slept, this app is a good helper to solve this kind of problems. It is perfect for distracting and focusing when you are anxious. Set up time spent inhaling and a pause between breaths. 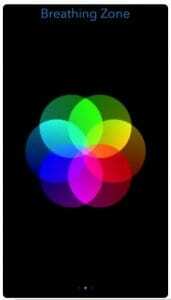 You can choose different shapes of a figure in the center of your screen to feel more comfortable. It also can change its color. Don’t forget to choose a background. It can be black or white. Controlled breathing keeps your mind and body functioning. Close my eyes to make the max effectiveness. Follow the instructions of Breathe Easy and you’ll feel better. Sometimes we don’t have enough time to just relax. 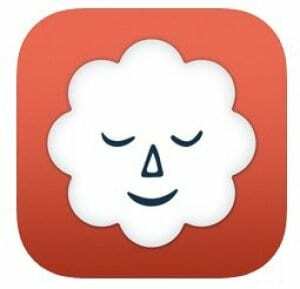 This app is a good way to reduce stress and feel better. Building emotional strength is an important thing to do. It has unique methods that allow you to control your emotions. Pay attention to the rhythm of your breath to understand your emotional condition. Use your breathing to find stillness. 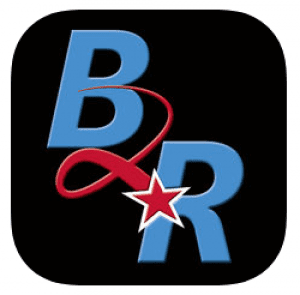 This app has been downloaded more than 1,000,000 times. You can learn breathing techniques, meditations and yoga. 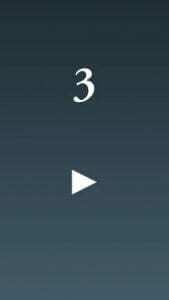 Spend a least 5 minutes a day with this app and your mind will change. 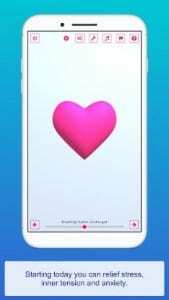 How can this app help you? If you don’t know where to begin, Stop, Breathe & Think can create personalized recommendations for you. You will increase in positive feelings after the first session! 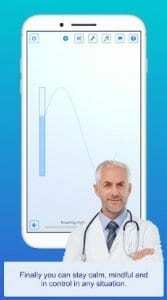 This app is developed for people who want to control their heart rate. The main purpose is to slow down the rate of the heart. In a normal condition, our heart rate is approximately 10-15 times per minute. We need to calm down the heart rate to 5 or 7 times per minute. This is called resonance. It can support our body by controlling the blood pressure and nervous system. Our body is full of uncontrollable systems. To reduce stress, we should calm down these systems. Resonant breathing is a proven technique to relax and feel better after stressful events. 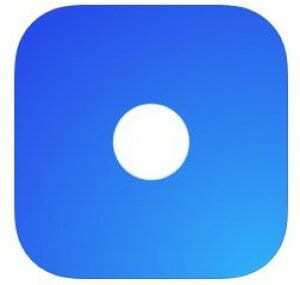 After several times of using this app, you will get health benefits such as better sleeping, reducing stress and improving resiliency. Do you believe that one breathing technique can do so much? It is true. The main controller of our physical and emotional conditions if the nervous system. The technique creates a balance between the two branches of our autonomic system. That is we feel better and more relaxed. 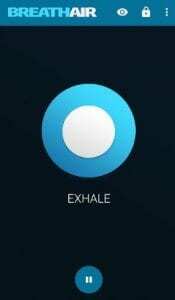 Just spend several minutes to breathe with this app and you will be ok! Have you ever felt anxious after watching the morning news? You are waited by a long day, but you can’t stop to worry. 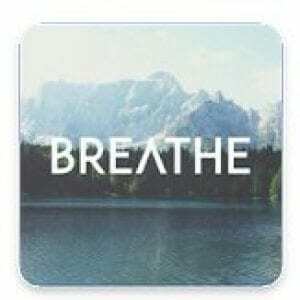 Then, try Breathe | Calming Reminders For Mindful Breathing. Breathing exercises help you to be mindful and thoughtful during the day. It can also prevent insomnia. One deep breath at a time and you feel good. You can battle anxiety by breathing. 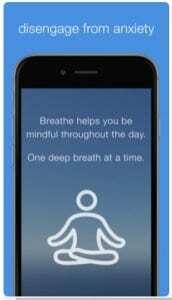 This app reminds you to breathe at the right time. It can also send you inspiring quotes. 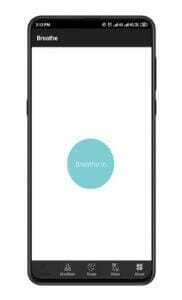 Set up the time when you are ready to breathe and you won’t miss it because this app will send you a notification. Don’t forget about health benefits of breathing. Control your blood pressure and emotions. Be calmer, happier and more relaxing! It is really important to be focused when you are breathing. You should control inhale and exhale. If you breathe right you will get rid of stress and improve your mood. 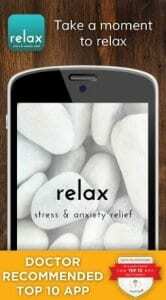 This app is developed to help people to relax. Download it. Find a comfortable place to have a breathing session. Don’t think about your problems, just focus on your breathing. 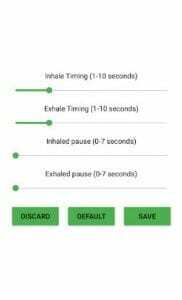 Synchronize inhales and exhales with the app. You will feel better after several breathing sessions. You will get stress relief, calmness and a good mood. Start breathing exercises today if you want to have a happy and healthy future! 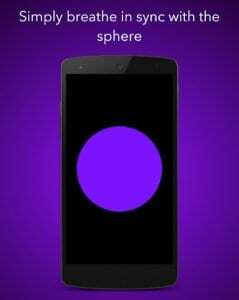 If you have troubles falling asleep, then this app is especially for you! You can get rid of this problem with some easy breathing exercises. Follow wonderful sounds and movements of the sphere. 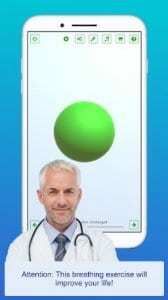 This app can help you to make harmony in your body. You will get relaxing condition, cardiac coherence and good mood. Set up a suitable breathing rate to make relaxation nice or you can choose a good quality sounds. Breathing exercises are free and effortless. Everyone can breathe but we often take for granted. Don’t underestimate this action. The right breath can heal many deceases. Your life depends on your breath.